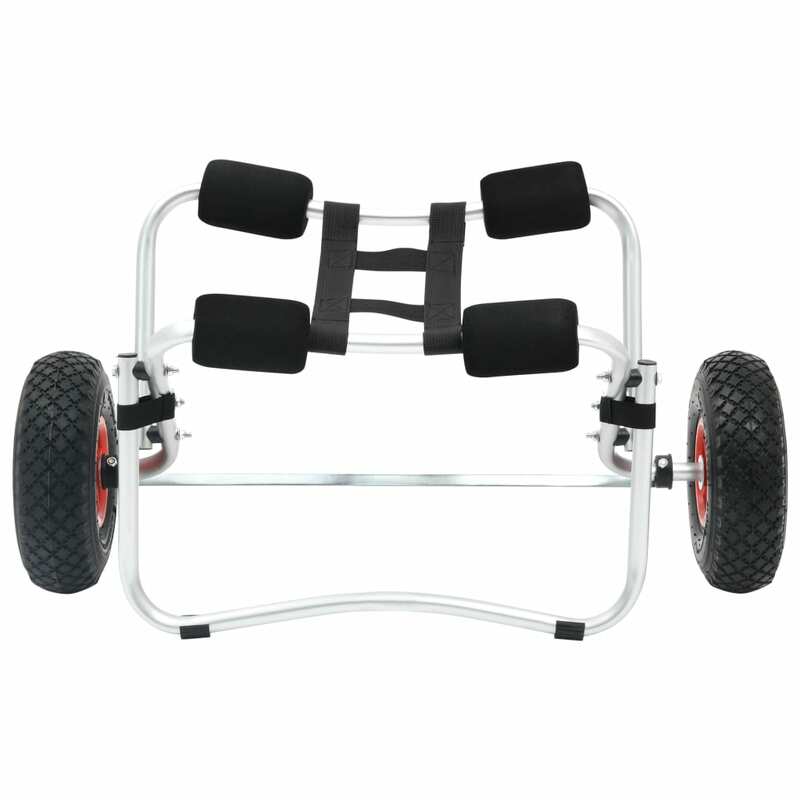 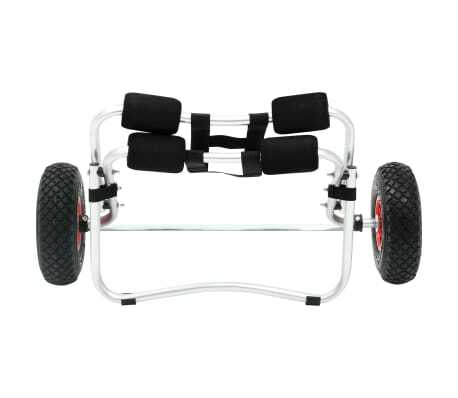 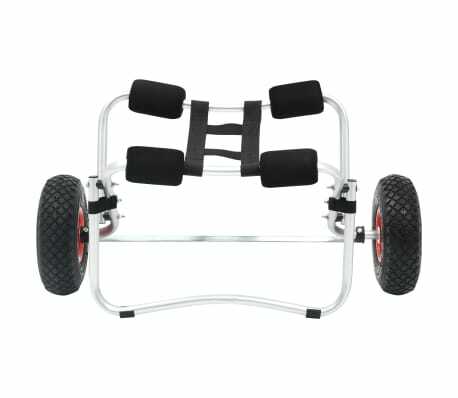 With this kayak cart, you can effortlessly rest a kayak or canoe on the cart platform, strap it down and it's ready to go. 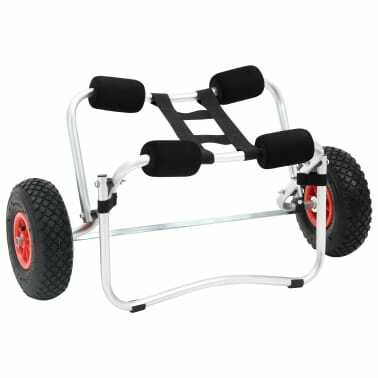 The spring-loaded stand keeps the dolly cart propped up onshore for quick loading out of water. 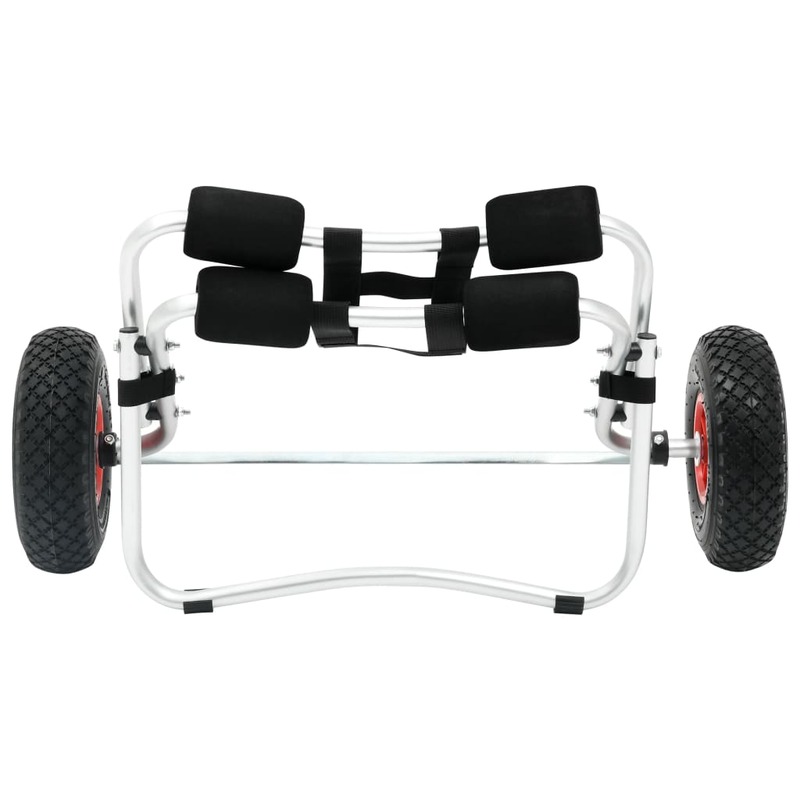 This cart has two foam bumpers on each arm for better protection. 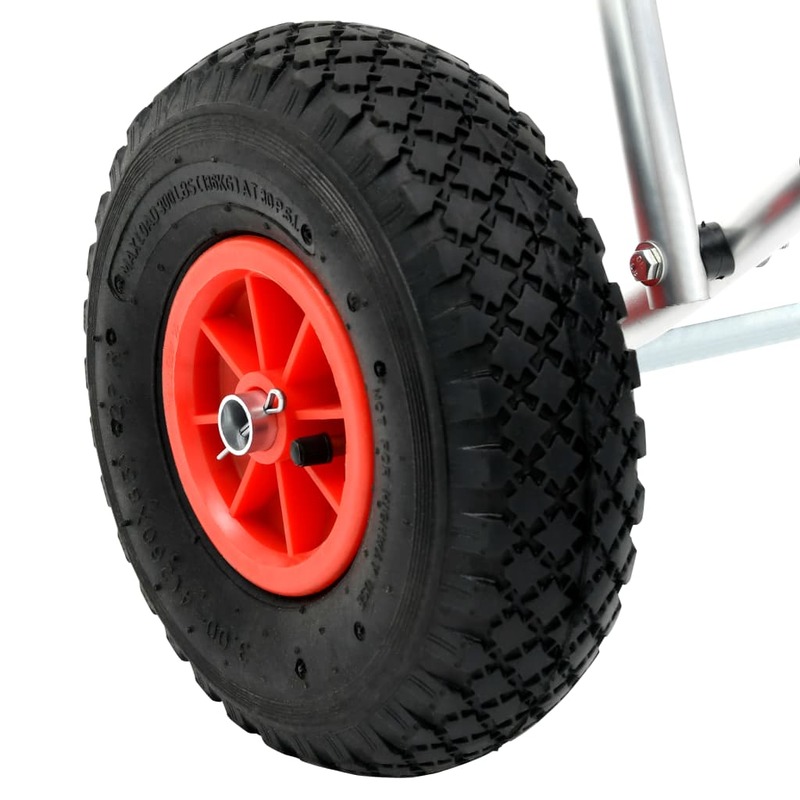 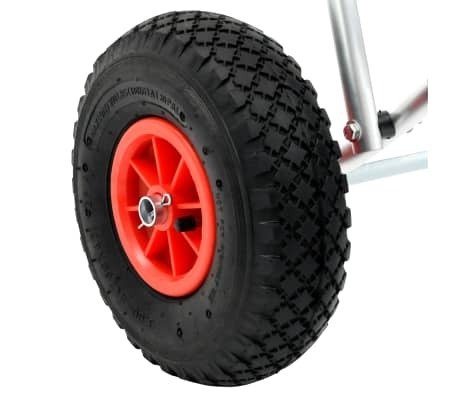 Its large, detachable inflated rubber wheels roll smoothly across sand and gravel. 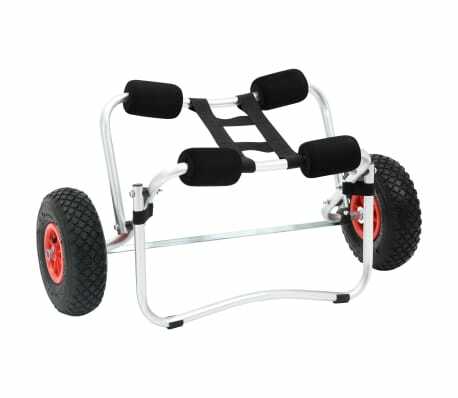 The solid aluminuim construction is sturdy for years of use yet is still lightweight for easy transportation. 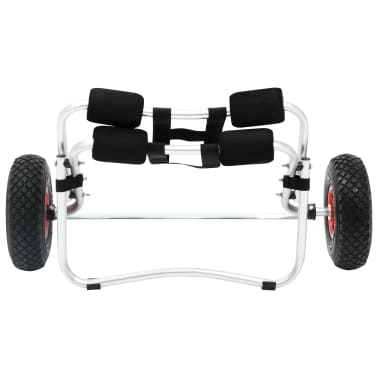 It's also foldable and easy to store.